He's opposed the popular speculation tax. He's opposed the elimination of the MSP. He's opposed the minimum wage increase. He's opposed to electoral reform. Those opposed to the BC Liberals, and recent polling puts that number between 60-65% of the popular vote (if recent polling is to be seen as accurate), it gives those folks a brand new opportunity to render their verdict against the 16 year old government (of whom many still resent). In that, "if the BC Liberals oppose reform, then I'm in favour!". Historically, right-of-centre parties do just fine in proportional voting systems; proportional voting does not mean 'left wing' government forever. By attaching himself to the anti-reform movement, Andrew has already dismissed other right-of-centre politico's or parties that may find their way into the legislature. 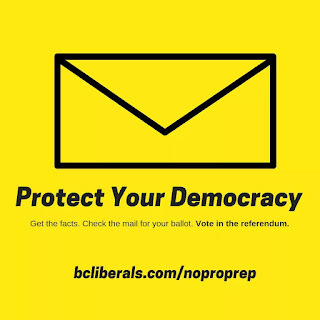 A vote against electoral reform is a vote *for* the BC Liberals; this may be an uncomfortable alignment for some voters. 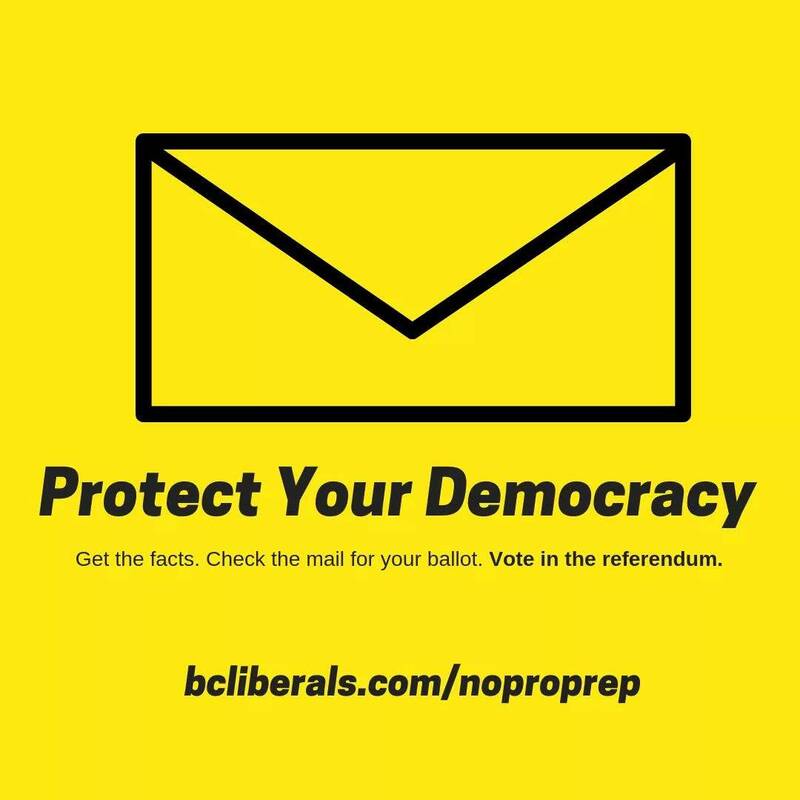 The vote in question isn't for a pure proportional system; there are three proportional/regional hybrid systems that preserve local representation: something the BC Liberals have mislead voters into thinking isn't the case. Its not that I think that Andrew Wilkinson is a bad person. I don't know the guy. But his trajectory right now seems to be emulating the scorched earth partisanship that was representative of the last decade, and is a thing that BC voters can do without.